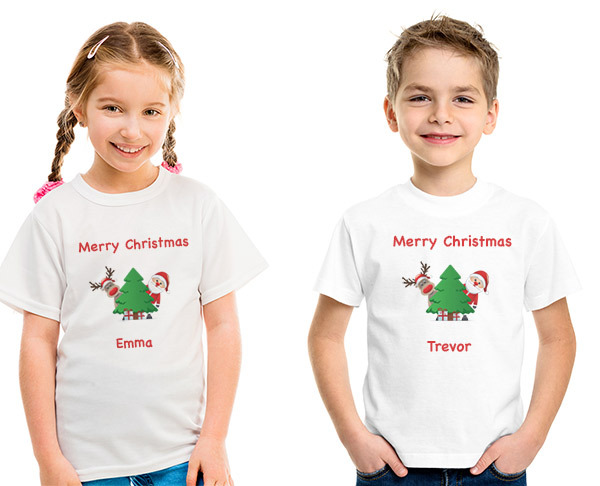 Surprise your child with a personalized Christmas T-Shirt that they can wear on Christmas Day or Christmas Eve! Add your loved one's name to this fun design that features Santa Claus and Rudolph. Each shirt is custom made for your child and printed on a 5 oz. 100% heavy cotton white t-shirt with a tear away label for maximum comfort. T-Shirt orders have ended for the season.